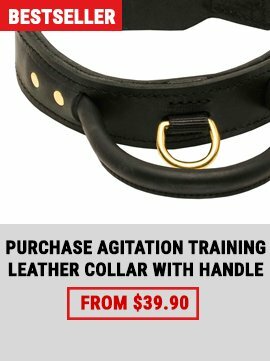 Are you tired of endless barking of your beloved dog? If you are searching for any solution to resolve this problem or to control it, you should first understand the main reasons why dogs bark. Barking is considered to be a natural part of dog’s behavior. It is the main way of the dog communication. But, why dogs bark excessively? First of all, the most important factor why dogs bark is their loneliness. When family members leave home, dogs try to return them with a help of barking. The lack of dog exercise can also provoke barking. Dogs as people should release their excess energy. Barking also is the best way to draw attention of a dog owner when they want play, eat or drink water. Territorial protection is a type of barking when dogs see any strangers or other animals near your home or property. Barking is the way to express dogs happiness when they play or going for a walk. As you can see, there are a lot of reasons why dogs bark but in our next newsletter you can read how to prevent the endless barking of dogs. 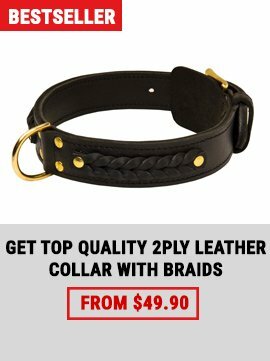 What can be better than a classy leather dog collar? Our experts think that it is a wider classical leather collar, and we are sure that you will like this idea. 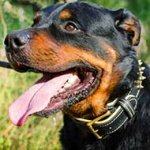 If you are the owner of a strong built dog you definitely prefer to purchase a rather wide collar because: It is strong enough for handling your pet; It causes less stress on the neck of your dog; Wide strong collar is good for different kinds of trainings. Are you looking for exclusive dog accessories to bring out a modern style of your pet? 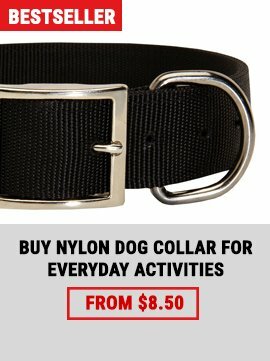 We want to help you and offer this unusual leather collar that will decorate the neck of your dog. Every collar is accurately hand painted with water proof paintings in a special technique that endures esthetic look of this tool for long years.